My role as a freelance copywriter on this occasion was to write Staffordshire University’s international prospectus in order to promote the university and its faculties to overseas students. I’d worked with the university before, so was already familiar with the university’s brand and editorial guidelines, which meant I was able to quickly and efficiently deliver the copy, with minimal direction. 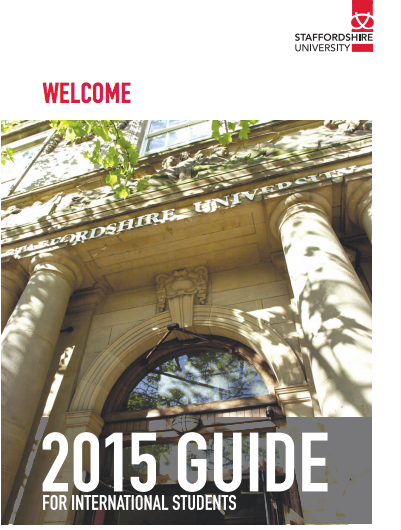 To view a copy of Staffordshire University’s international prospectus, click the image on the right. To discuss your next copywriting project with me, please visit my freelance copywriter contact page.